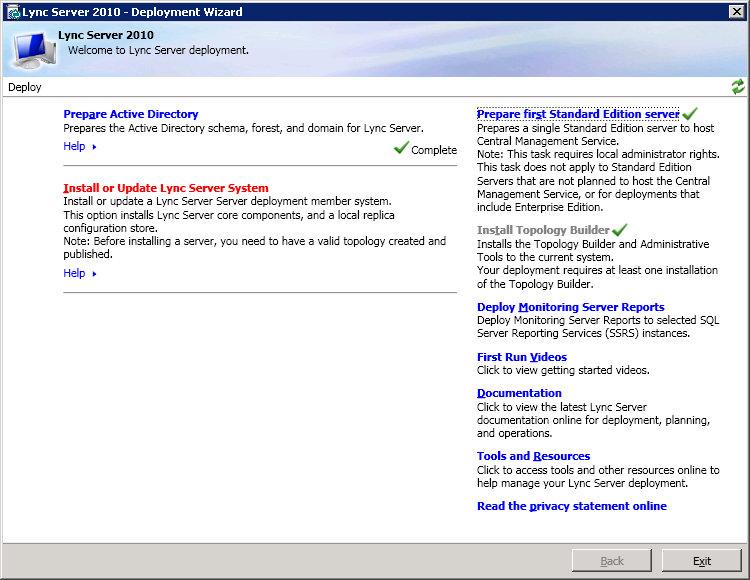 Now we need to configure administrative access for a user so we can access the Lync Server 2010 Control Panel. 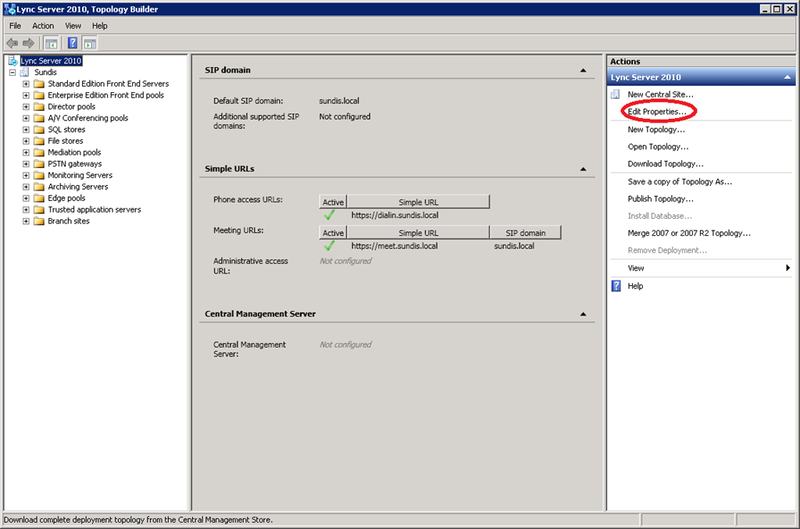 Head over to a suitable domain controller and open Active Directory Users and Computers. 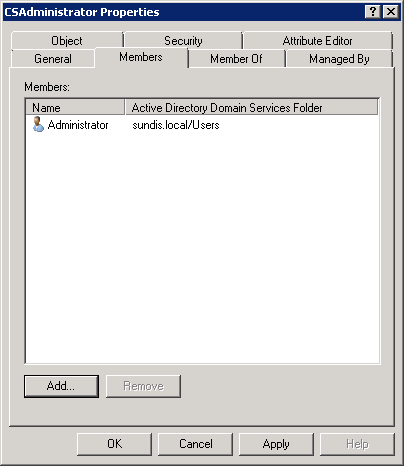 Navigate to the Users OU and find the group CSAdministrator. Right click the group and choose Properties. 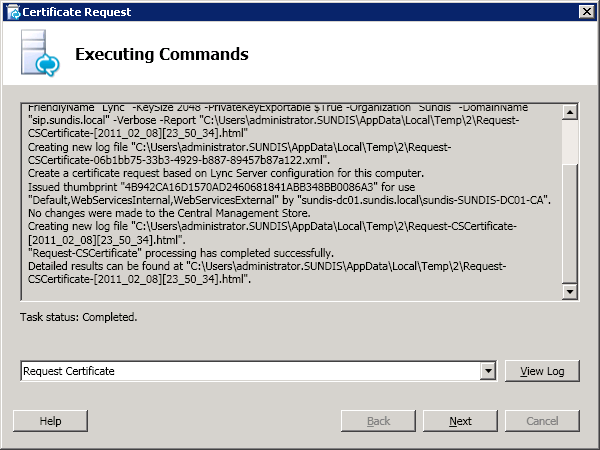 This opens the property page for the group CSAdministrator. Click on the Members tab and then click Add. Enter the name of the account you want to add and then click Check Account. When the account is verified click Ok to add the account as a member of the group. Click Ok to close the property page and the process is finished. 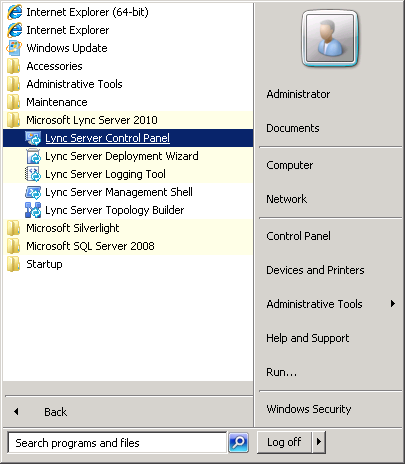 Now we can have our first look at the Lync Server 2010 Control Panel, locate the shortcut on the Start Menu and launch the utility. 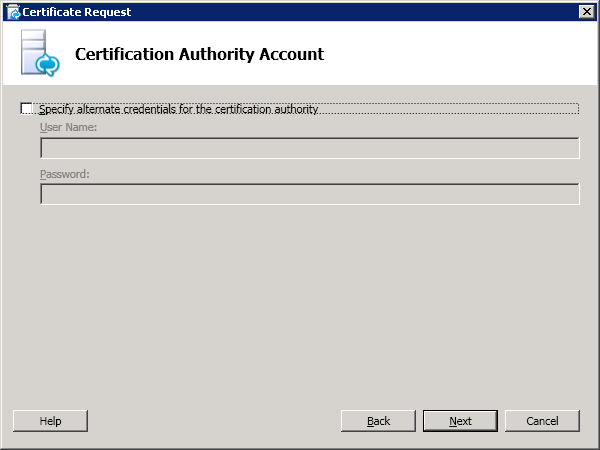 We have to authenticate using the account we added to the CSAdministrator group earlier. Add the site to trusted sites when you receive the security warning. 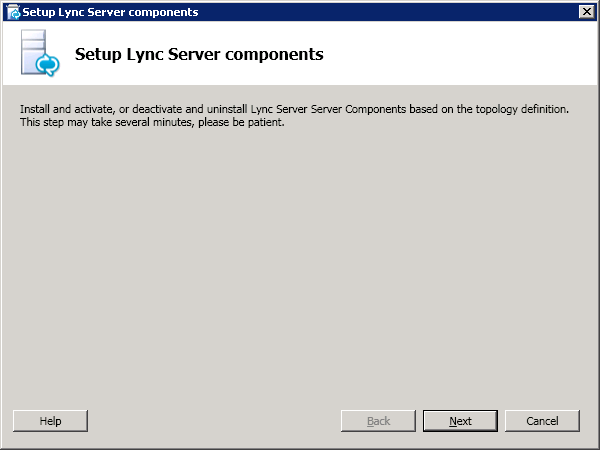 You will now be taken to the welcome page on the Lync Server 2010 Control Panel. This page contains links to common tasks and different help topics. We will take a moment to go through some of the tabs available and then you can look through all the tabs on your own to get a more deeper idea on how this tool is partitioned. Click on Users to open the users page. 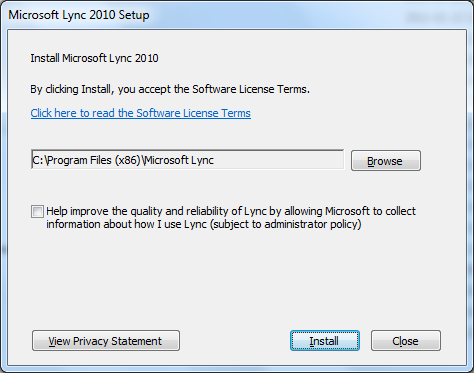 Let us start with enabling the users for Lync Server 2010, click on Enable Users. Click on Add to add a user. Enter a username and click Find, select the user you want to enable and then click Ok. 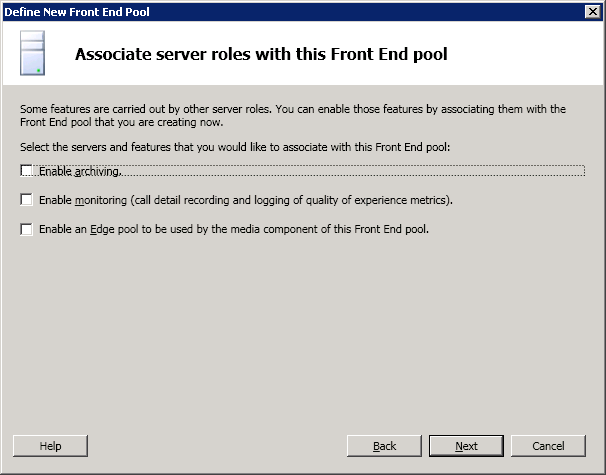 Assign the user to a pool by choosing the correct one in the Assign users to a pool drop down list. 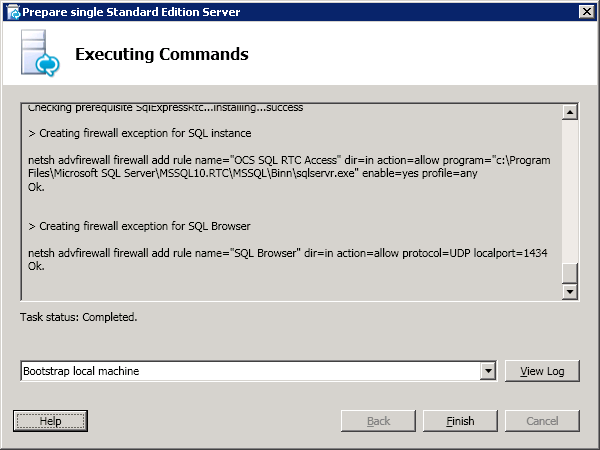 Then click Enable to finish the configuration. 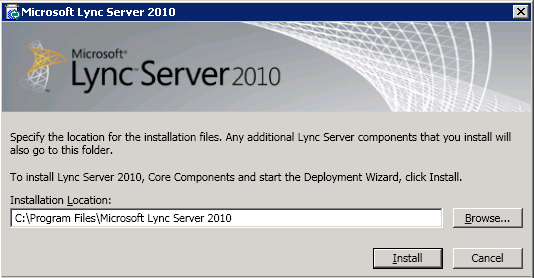 You have now successfully enabled a user for Lync Server 2010. 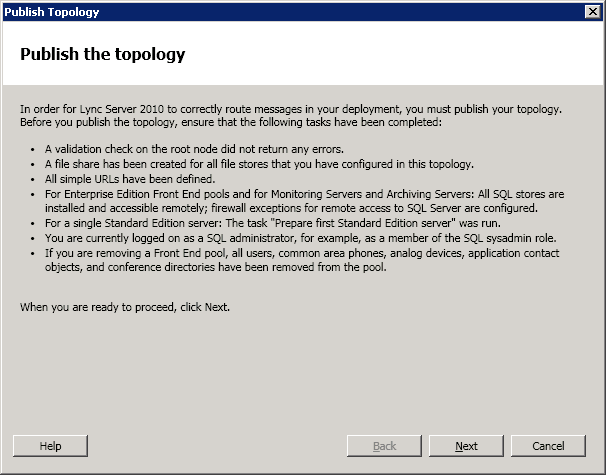 To continue, click on Topology in the left pane and you will see a list of server included in this topology. For example, this tab is useful in order to get a quick look on how your servers are doing and if there are any events that you need to address. 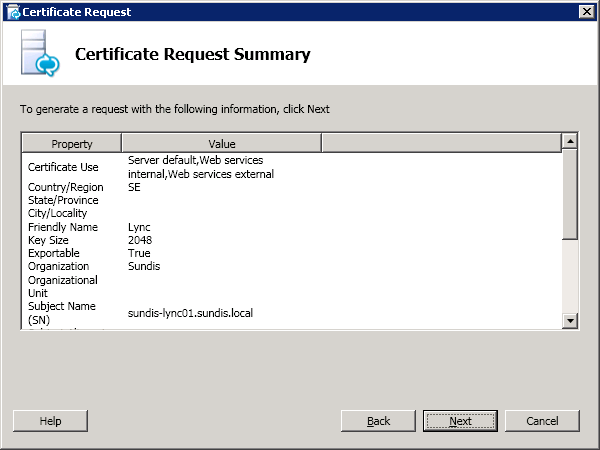 Double click on your server, in my case sundis-lync01.sundis.local to see a detailed list of the services running on this server. This brings up Computer Details for the specific server. In my case all the services on my server is running fine. For example, you can choose to stat and stop services using the Actions menu, close this window by clicking Close. I will not include any more tabs in this guide, I will save this for upcoming posts. I am working on a post on how to integrate Lync 2010 with Exchange 2010 UM and another one on how to use Lync 2010 and Asterisk to handle a consumer grade SIP trunk. 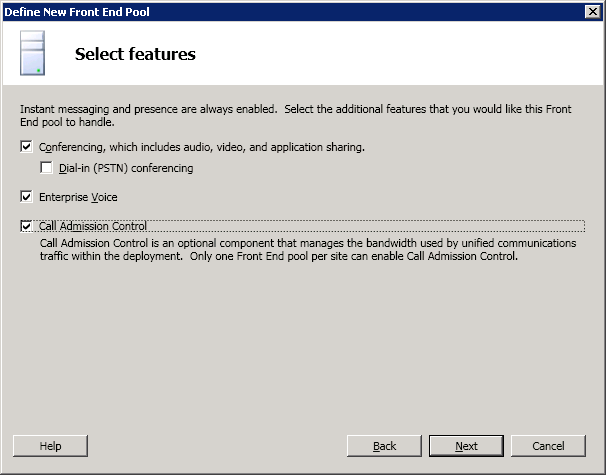 I those post we will dive a bit deeper in the phone part of Lync 2010. We have one last thing to do in this post and that is to test client connectivity and make sure that IM/Presence is working. 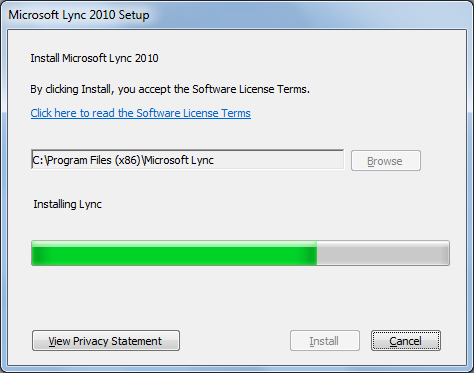 let’s move on to installing the Lync 2010 client on a PC. 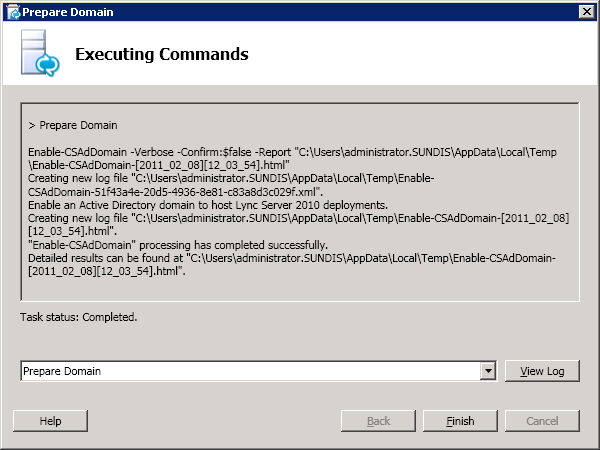 The first window you will se flashing by after you execute the client installation file is a loading status. 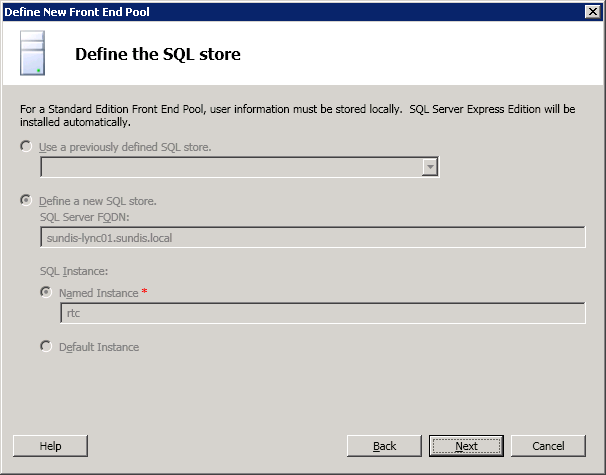 You will then be able to choose location for the installation, click on Install to continue. A progress bar will show the process. 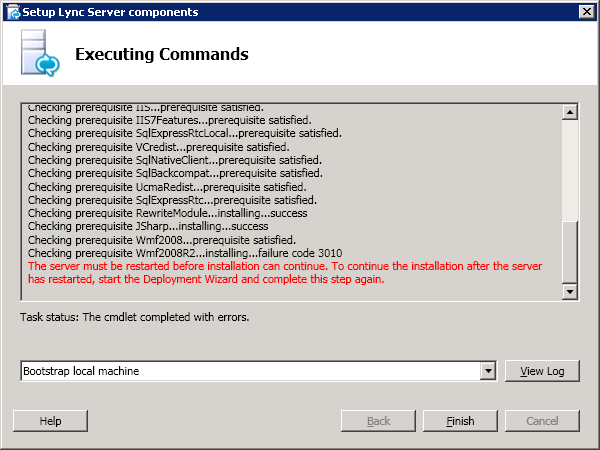 When the installation is finished, click on Close to complete the installation. The Lync client will now launch automatically unless you unclicked Start Lync, and if all is well you should be able to log in. 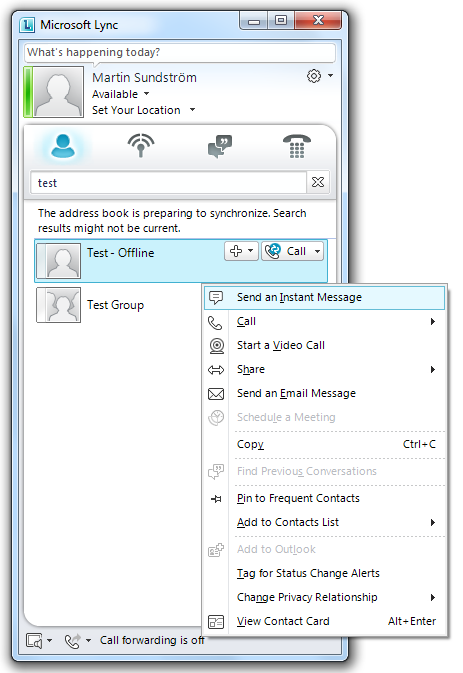 You will see the default tab in Lync, search for a another user, right click the user and select Send an Instant Message. Enter the text you want to send an hit Enter. 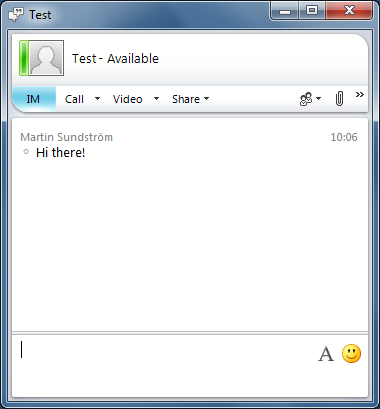 And we now have a working IM solution based on Lync 2010! This ends part 3 in this series. There is a couple of more posts coming that I will finish in the near future, I am working on a couple of technical issues that I need to address before publishing the posts. Thanks for reading and please let me know if you find any errors or have any further questions. Part 1 in this series! Part 2 in this series! Part 3 in this series! 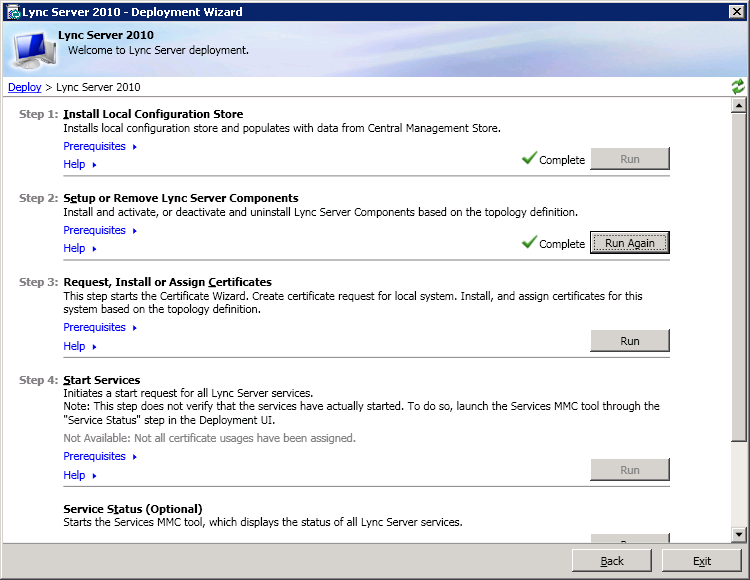 It is time to continue with our Lync Server 2010 installation. We will jump in and start where we left it in the first post. 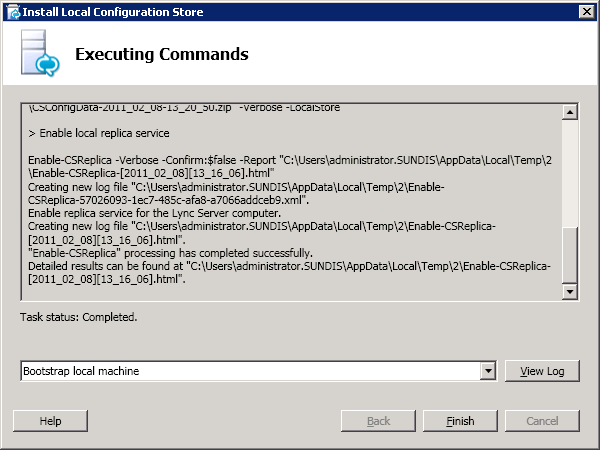 To continue with our deployment click on Install Local Configuration Store. 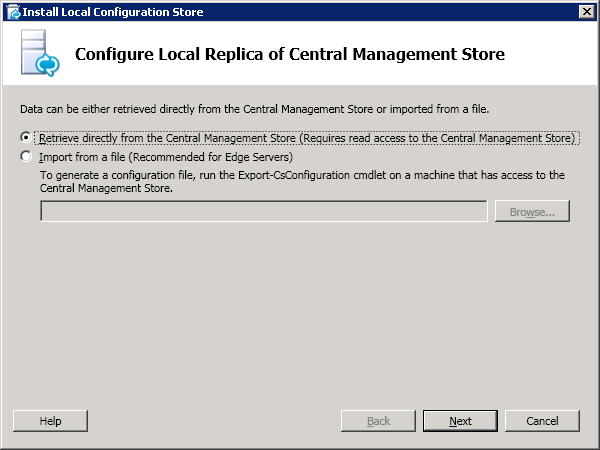 Since we published our topology in the last post we can keep the setting Retrieve directly from the Central Management Store, click on Next to continue. 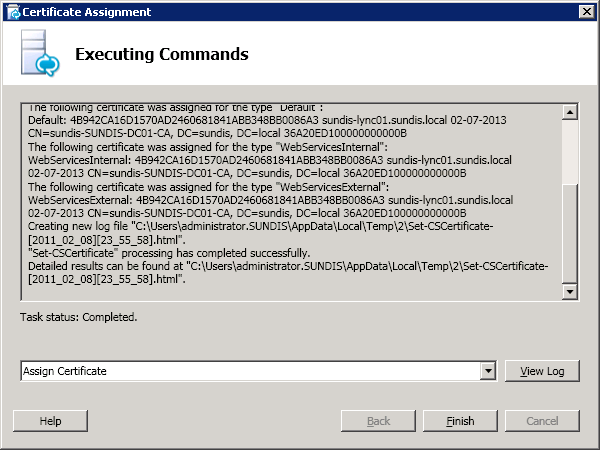 The installation will run automatically, click Finish when the Task Status says Completed. 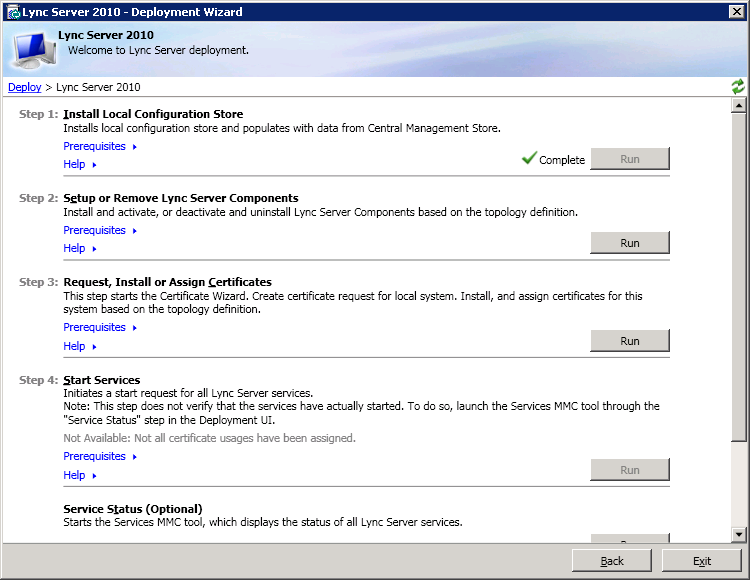 Moving on to Step 2: Setup or Remove Lync Server Components. When the wizard starts click Next to continue. Another automatic installation, click Finish when the Task Status says Completed. 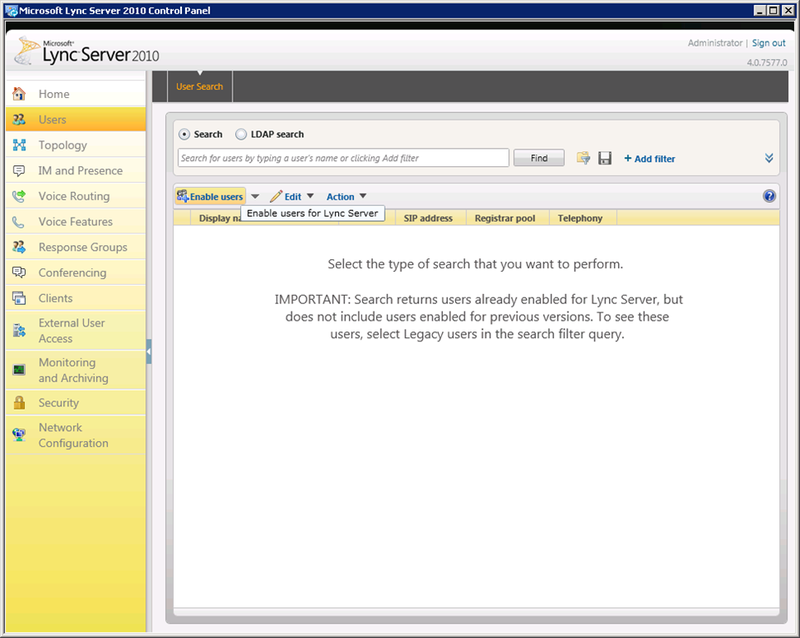 Note you might be prompted to restart the server as in my example. If the restart prompt appear, click Ok and then restart the server. 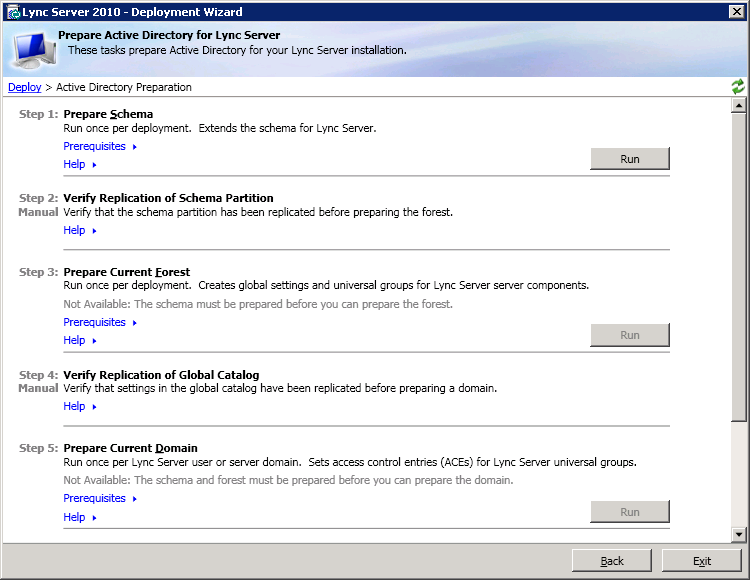 After the restart open the deployment wizard, run Step 2: Setup or Remove Lync Server Components again. Another automatic installation, click Finish when the Task Status says Completed. 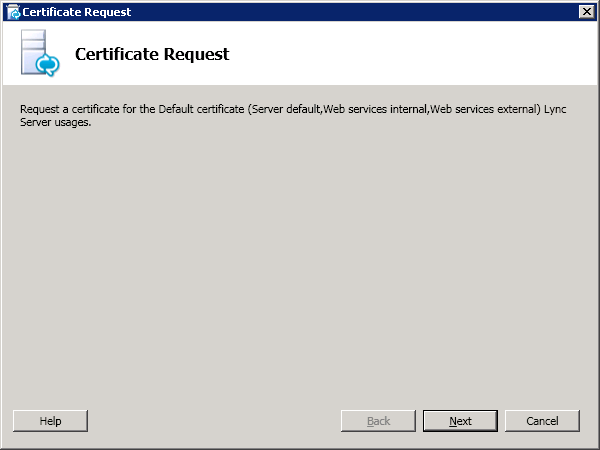 When the Certificate Wizard opens, select Default Certificate and then click Request. When the wizard starts, click Next to continue. 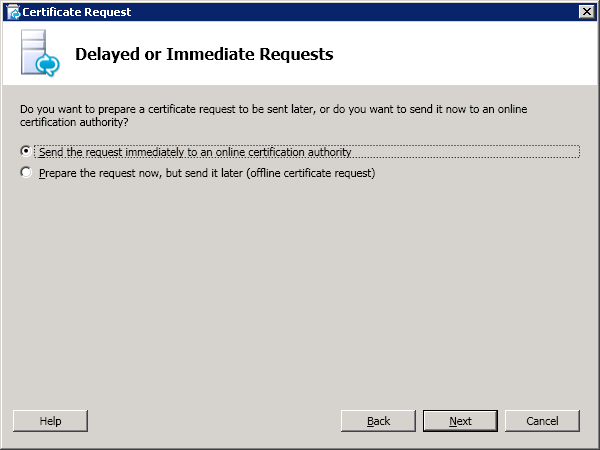 We will choose to send the request immediately, click Next to continue. 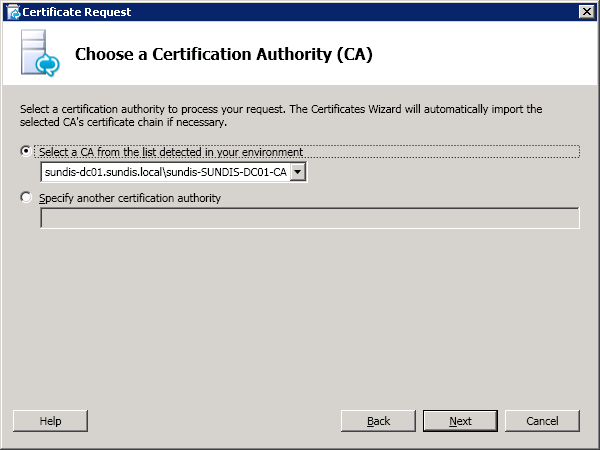 For this simple deployment a certificate issued by a local CA will do just fine, choose your local CA in the drop down list and click Next. 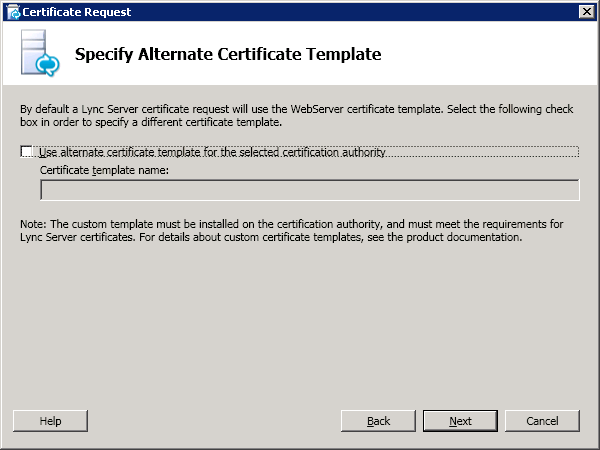 If needed, enter the credentials needed to contact the local CA and click Next to continue. We will not specify any alternate templates, click Next to continue. 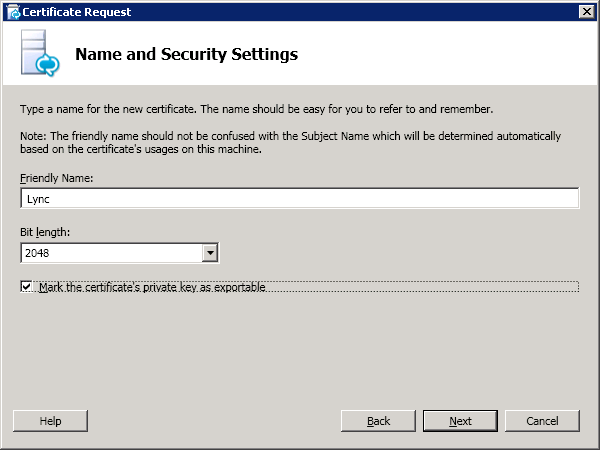 Provide a friendly name and check Mark the certificate´s private key as exportable, then click Next to continue. Fill in the required fields on the Organization Information page and click Next. 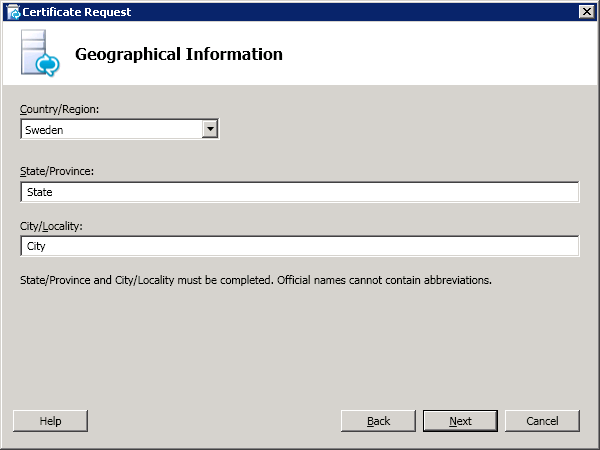 Fill in the required fields on the Geographical Information page and click Next. 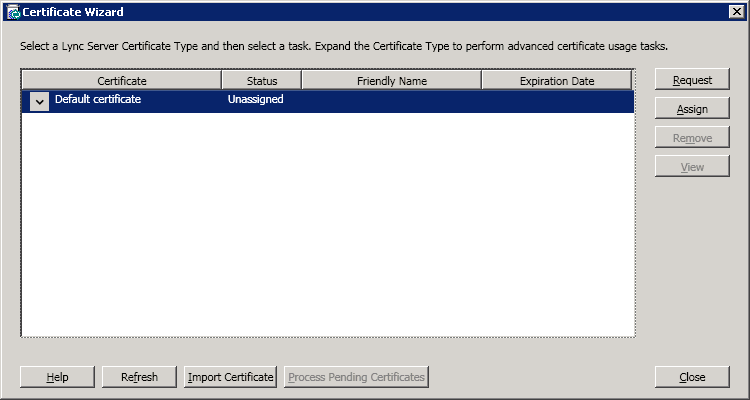 The wizard will populate the certificate automatically, click Next. 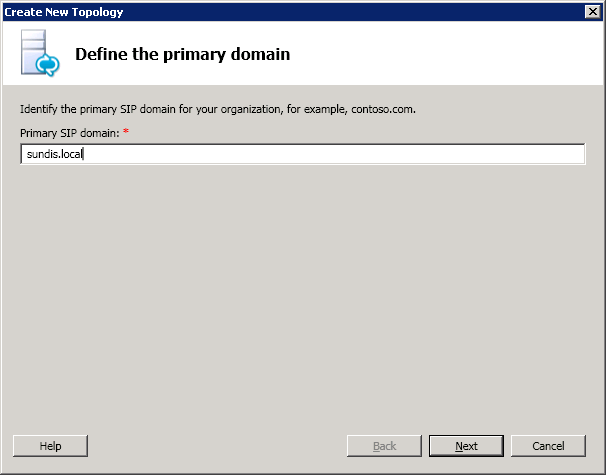 On the SIP Domain setting page, select your local domain as the SIP Domain and then click Next to continue. We do not need any additional SANs for now, click Next. After the installation, click Next when the Task Status says Completed. When you click Finish the Certificate Assignment wizard will start. Click on Next to continue with the wizard. 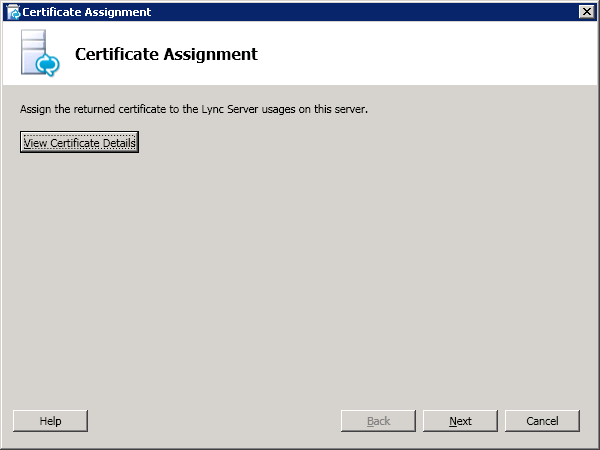 Review the Certificate Assignment Summary page, click Next. Wait for the configuration to complete and then click Finish. 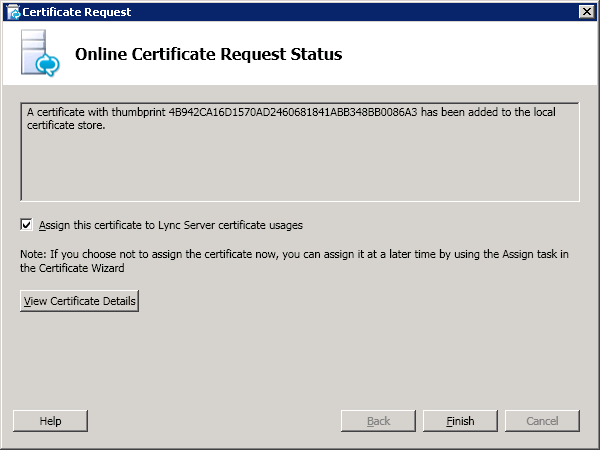 This takes you back to the Certificates Wizard, click on Close. 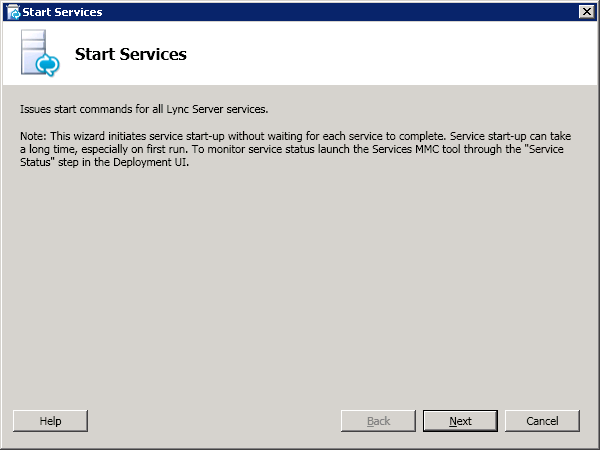 The final step, Step 4: Start Services, starts the Lync Server 2010 services, click on Run. 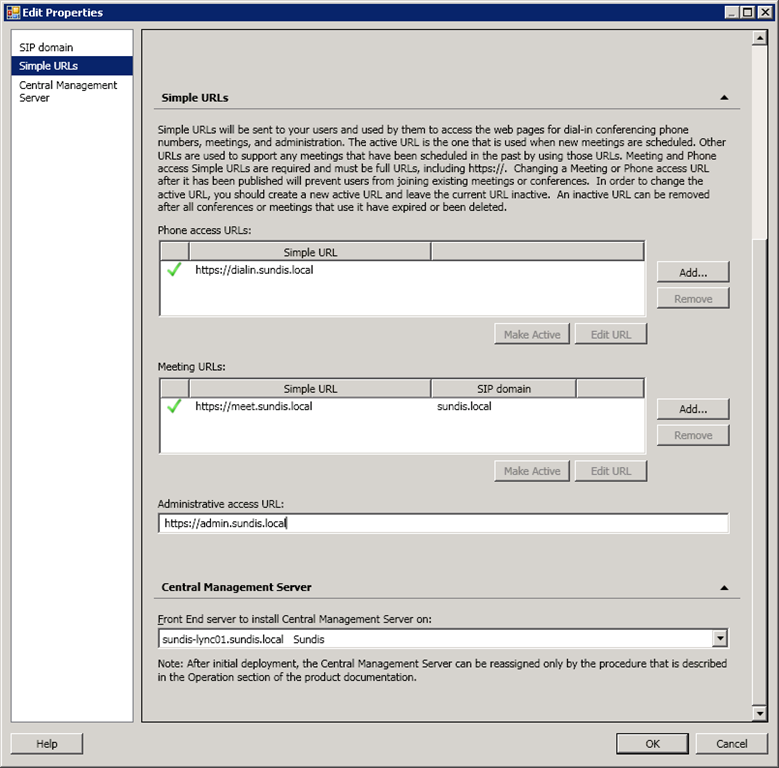 Click on Exit to close the deployment wizard. This ends part 2 in this series, thanks for reading and let me know if you have any questions! 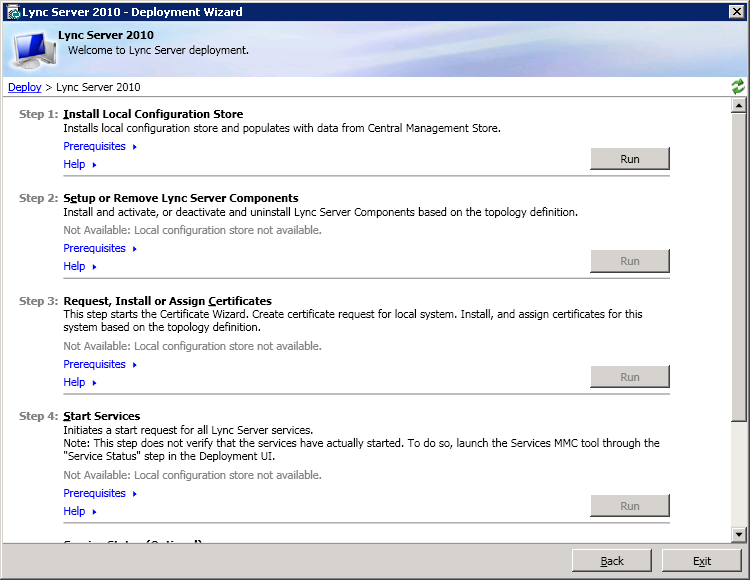 This is my first technical post about Lync Server 2010 and I will kick off my series of Lync Server 2010 posts with a basic installation and configuration post. I will guide you through the installation process and show you how to make a basic IM/presence and video conferencing configuration. 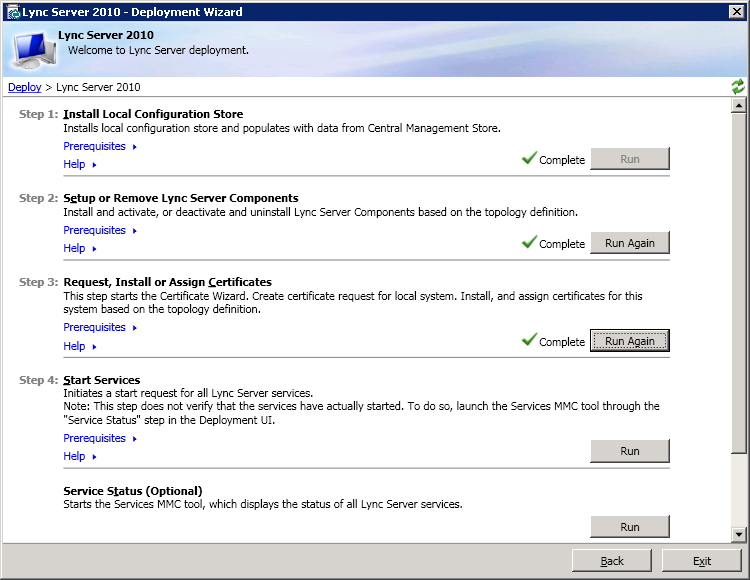 I am also working on a post on how to integrate Lync Server 2010 with Asterisk to be able to use a consumer grade SIP trunk for phone support. 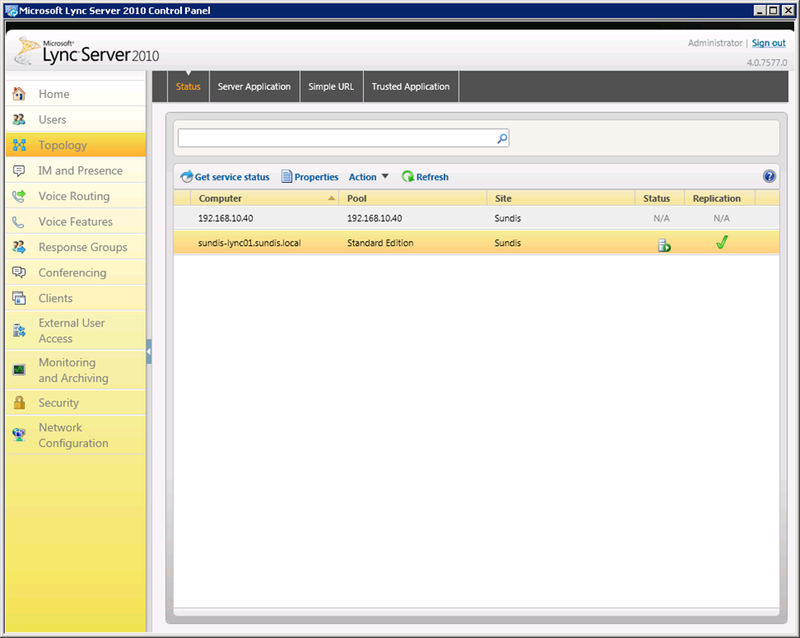 I will base this server one Windows 2008 R2 Standard and it is placed on a Hyper-V 2008 R2 host. First we need to start with installing the pre-requirements. Please make sure that you have installed all available updates from Microsoft Update before you continue. 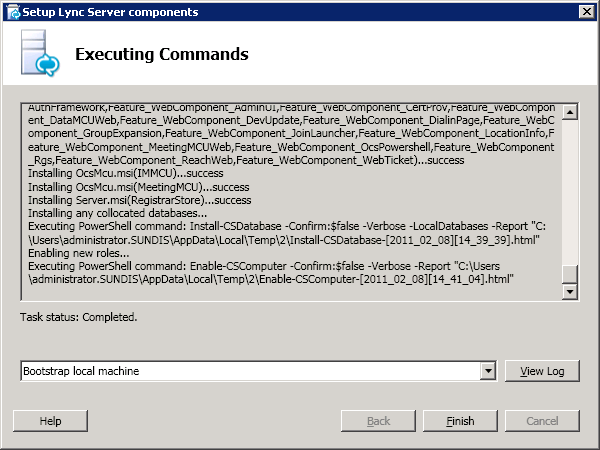 To start the requirements installation we can use PowerShell. 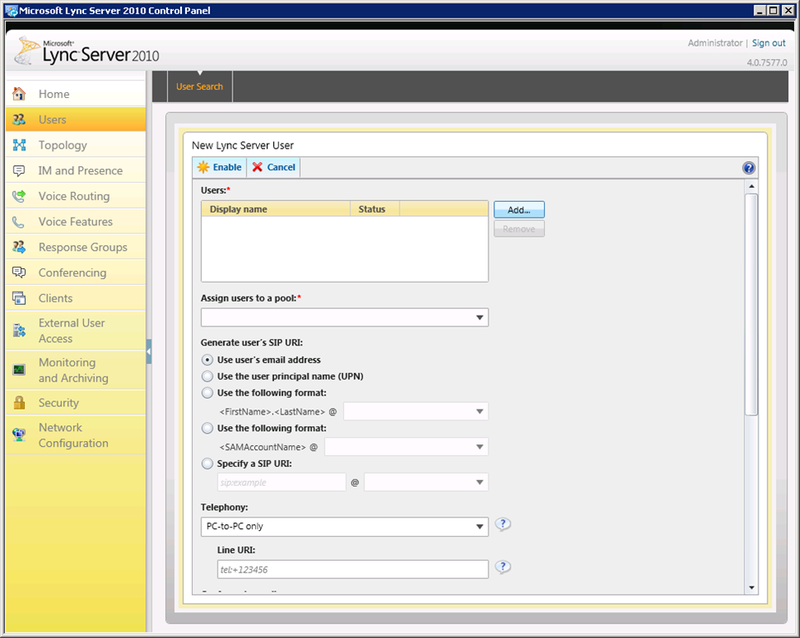 After the installation the server will restart automatically since we added the –Restart parameter. The installation of Silverlight is very straight forward, after the download run Silverlight.exe and click on Install now. The installation process will start and when finished click Next and then Close. 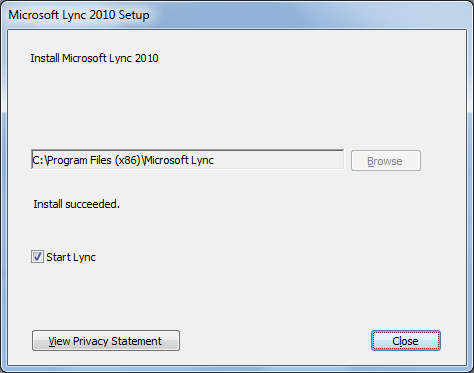 We also need to create a file share on the Lync server 2010 server. 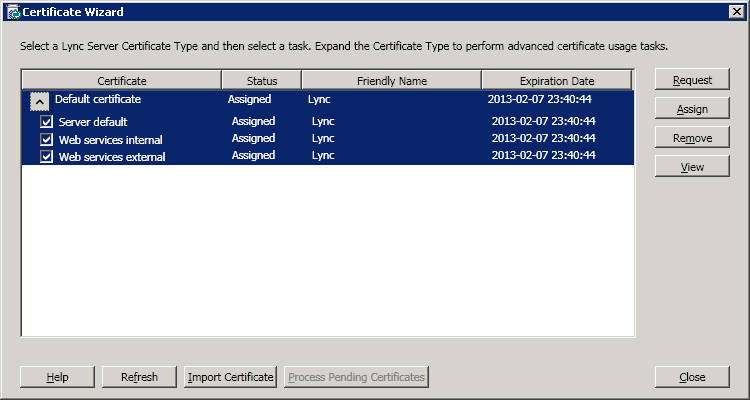 I will place my directly under C: and name it LyncShare. 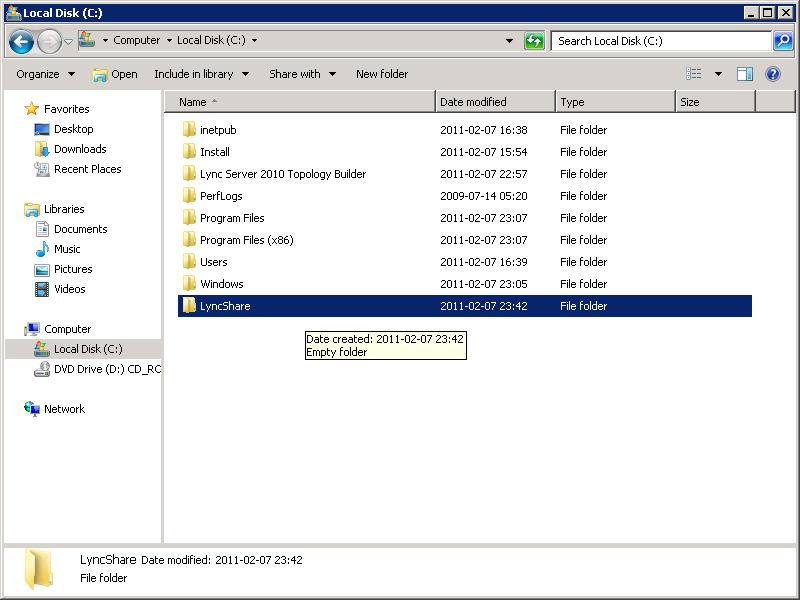 Share the folder and make sure that everyone has full control. We will also be needing a number of DNS entries. 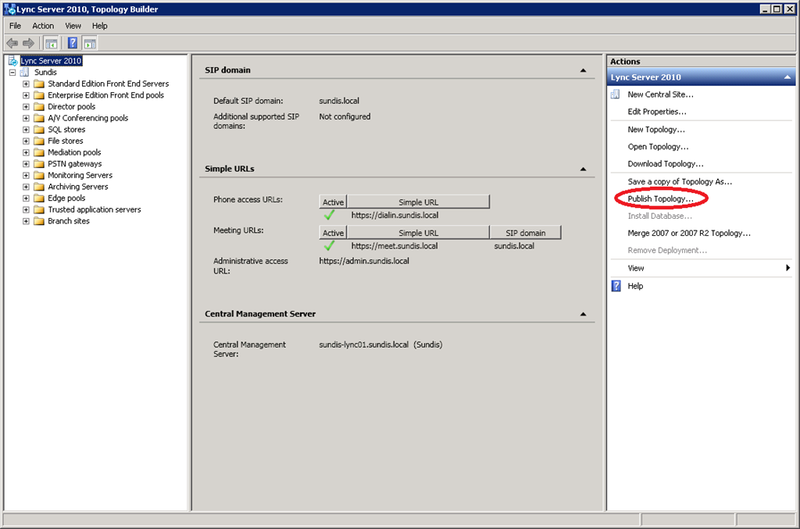 Add the following records to your domain controllers DNS servers. Now we are ready for the fun stuff! Insert your Lync Server 2010, if AutoPlay does not start, navigate to your drive \Setup\amd64 and execute setup.exe. 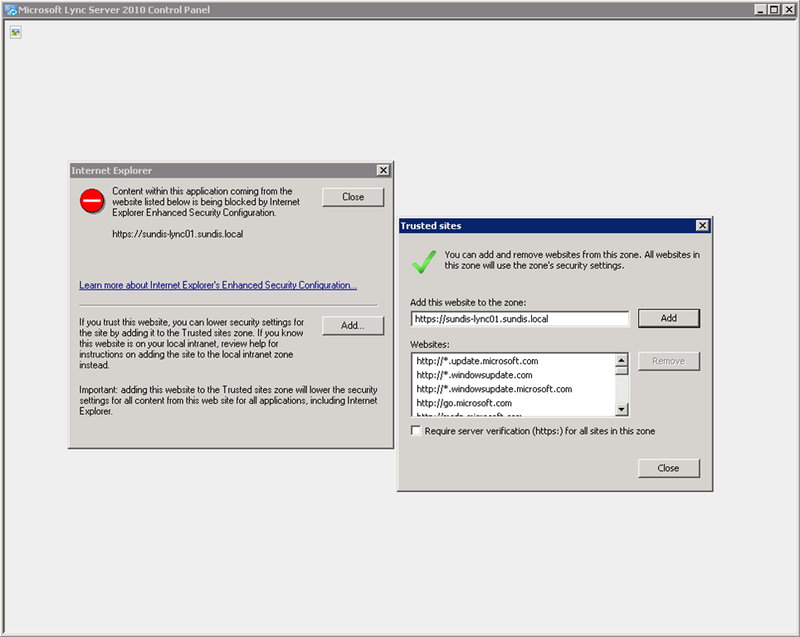 The first thing you will need to do is to install Microsoft Visual C++ 2008 Redistributable Package, click Yes to proceed. 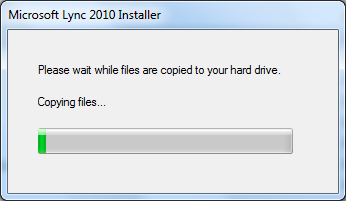 When Microsoft Visual C++ 2008 Redistributable Package is installed you will need to choose the installation directory. The default location will be just fine for me, change the location to match your preferences and then click Install. 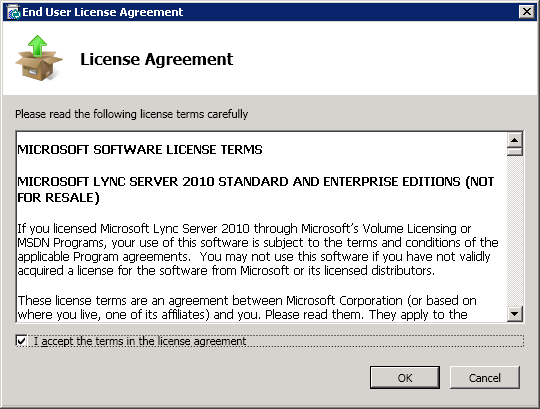 Next you need to accept the license agreement, check I accept the terms in the license agreement and then click Ok.
Now the Deployment Wizard launches and you will have a number of choices. 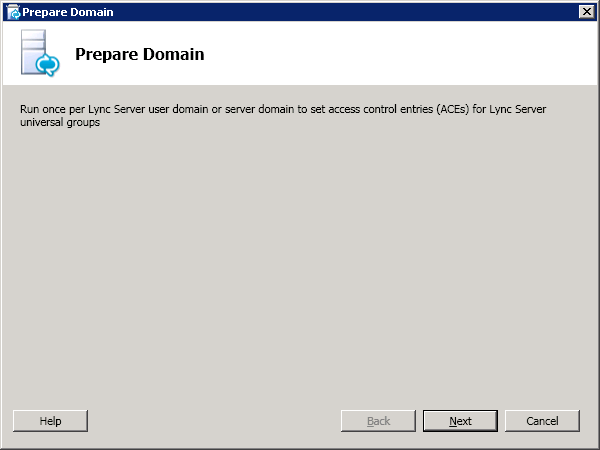 We will start with Prepare Active Directory. We will now have number of steps to complete, go through each of them starting from the top with Prepare Schema, click Run to start the wizard. 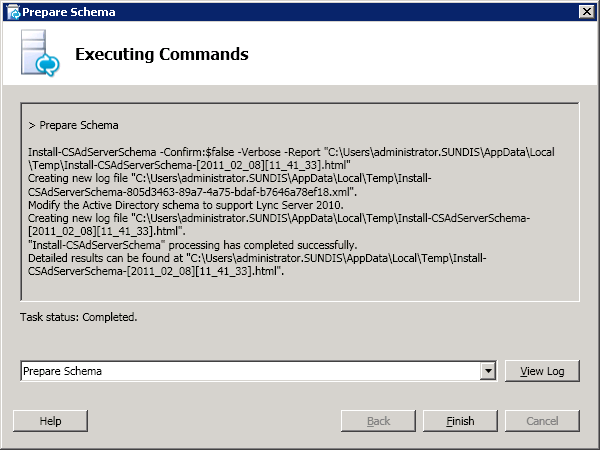 The schema preparation is automatic, click Finish when the Task Status says Completed. 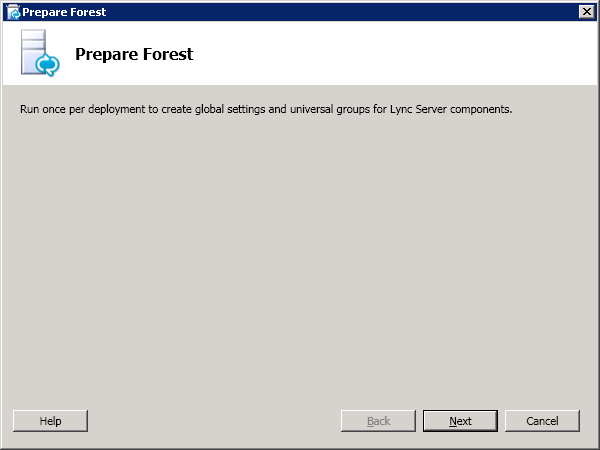 The next step is to Prepare Current Forest, click Run to start the wizard. 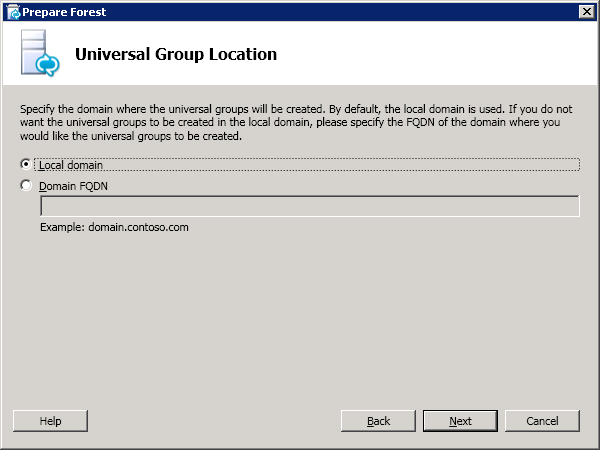 We will configure the local domain, click Next to continue with defaults. 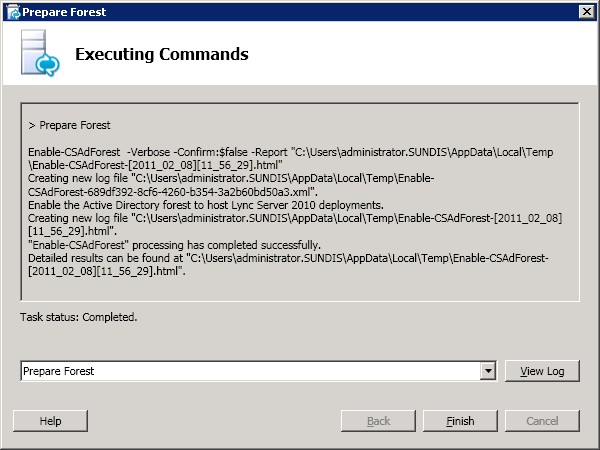 The forest preparation is also automatic, click Finish when the Task Status says Completed. 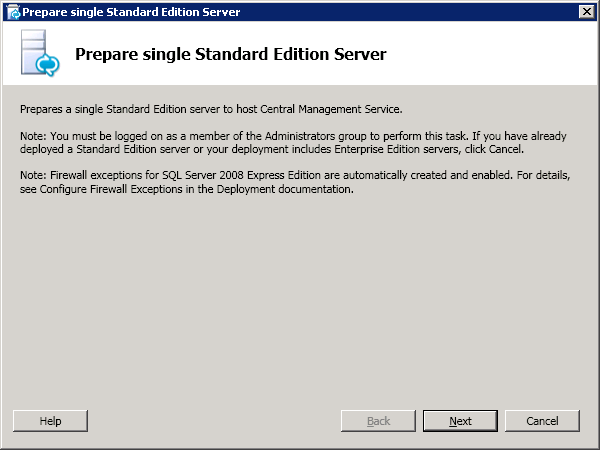 The last preparation wizard we need to run is Prepare Current Domain, click on Run to start the wizard. Again, the preparation is automatic, click Finish when the Task Status says Completed. 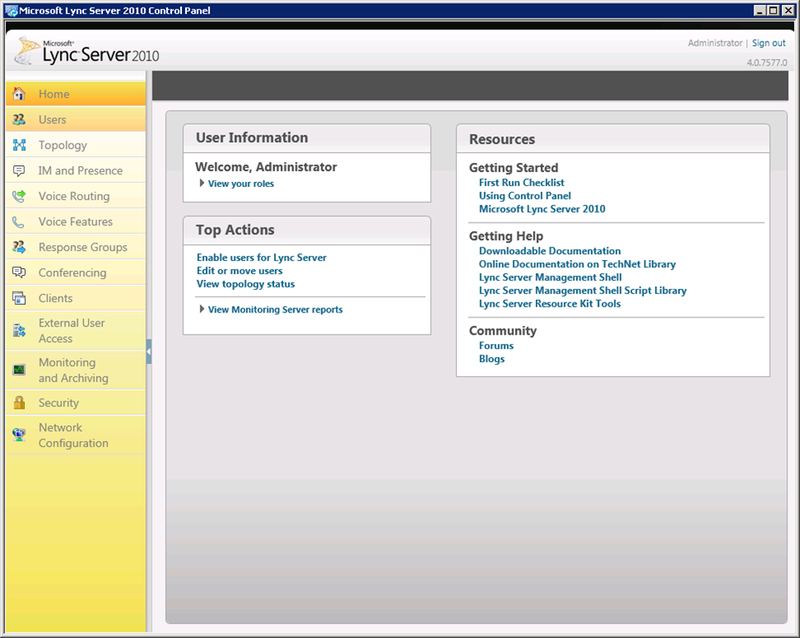 Log on as a member of the Domain Admins group or the RTCUniversalServerAdmins group. 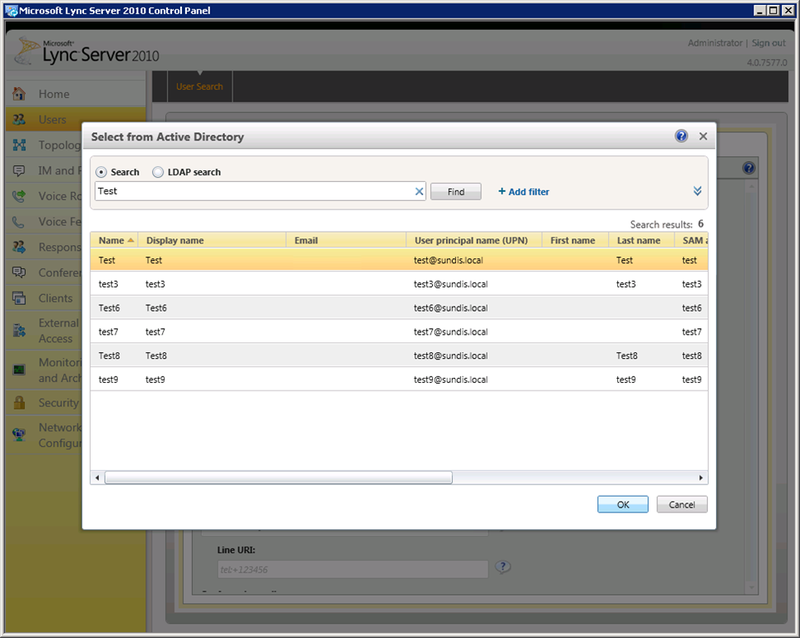 Open Active Directory Users and Computers, expand your domain, right-click the Users container, and then click Properties. 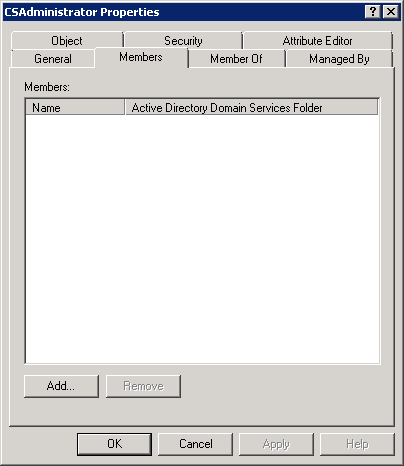 In CSAdministrator Properties, click the Members tab. On the Members tab, click Add. 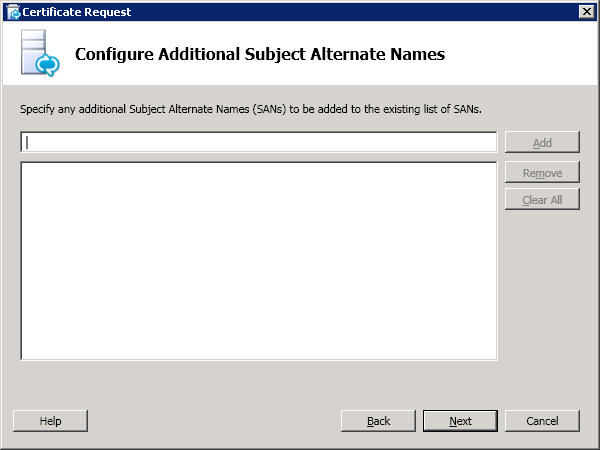 In Select Users, Contacts, Computers, Service Accounts, or Groups dialog, locate the Enter the object names to select. 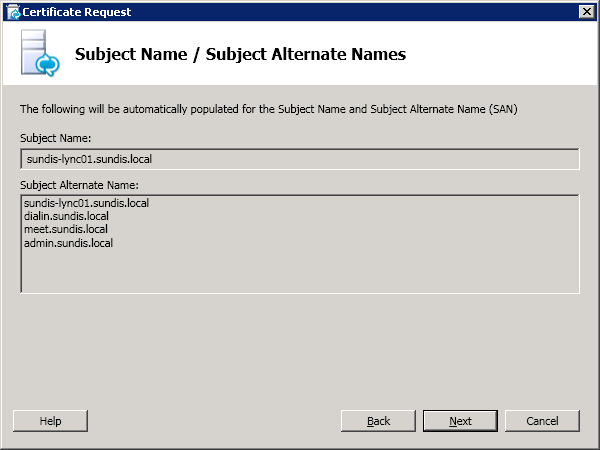 Type the user name(s) or group name(s) to add to the group CSAdministrators. Click OK.
On the Members tab, confirm that the users or groups that you selected are present. Click OK.
After completing all the steps, click on Back to return to the Deployment Wizard. 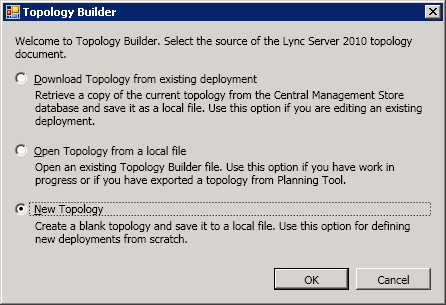 Moving on, The Topology Builder is next and with this tool we create a topology that we use to deploy the actual Lync Server 2010 system. 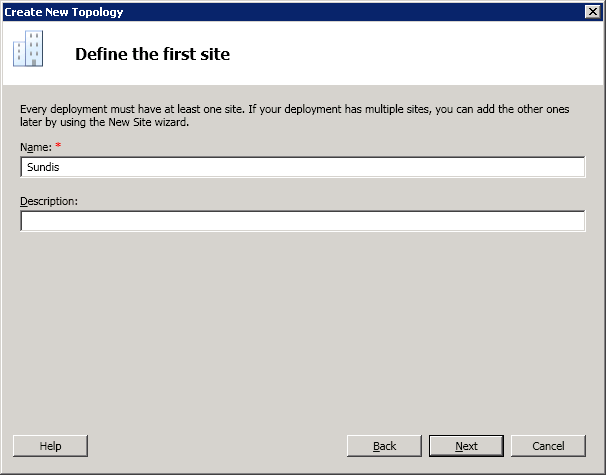 To start the installation click on Install Topology Builder. The installation will now run and it is automatic, when it is finished we will move on to Preparing the first Standard Edition server. On the introduction screen click Next to continue. 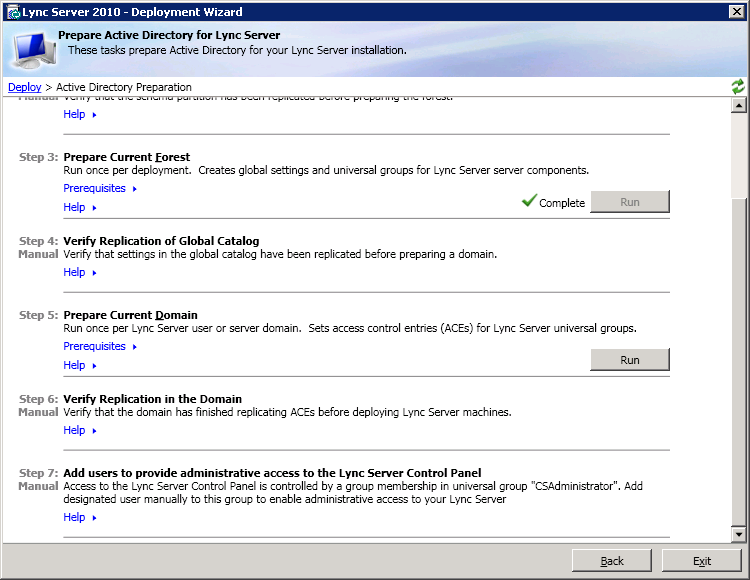 The installation will begin and when completed click Finished to close the wizard. 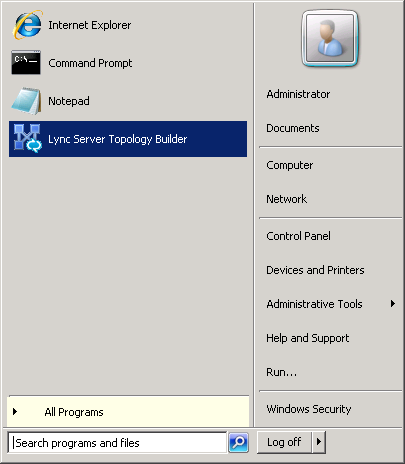 Now it is time to start with some configuration, locate the Lync Server Topology Builder on the Start Menu. The first thing we need to do is to select if we have a topology we want to open or if we want to create a new one. 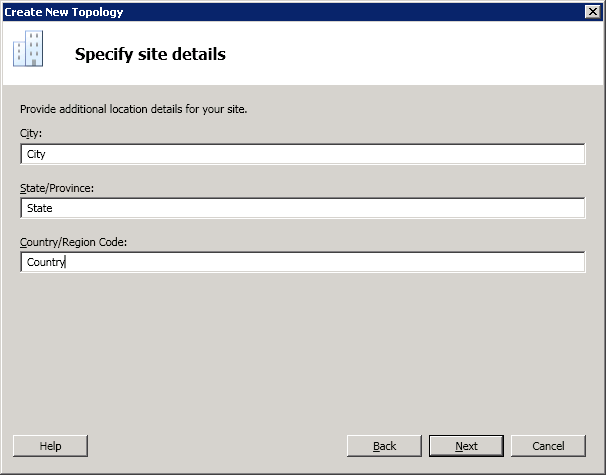 Choose New Topology and click Ok. 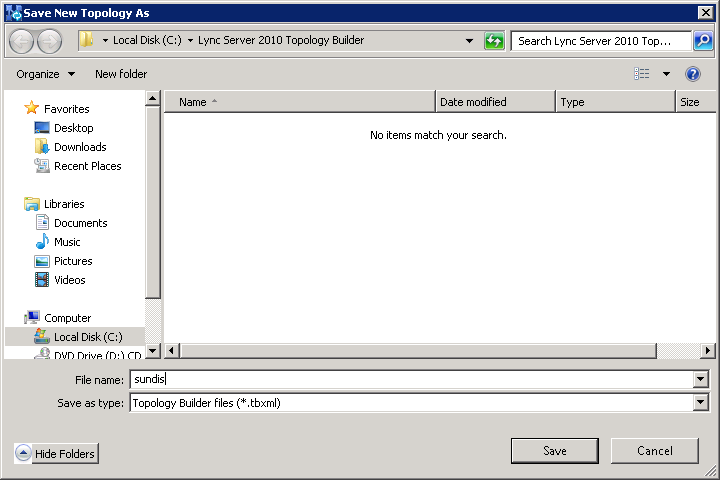 Choose where to save your topology files, I will save my files in C:\Lync Server 2010 Topology Builder and call it sundis.tbxml. When you are finished choosing name ad location click Save. 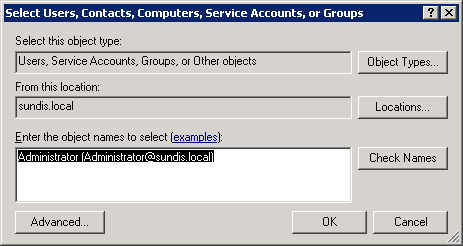 Then enter a SIP domain that matches your preferences, I will enter sundis.local. This is the internal domain name in my family domain and will work well for the purpose of this installation, click Next to continue. 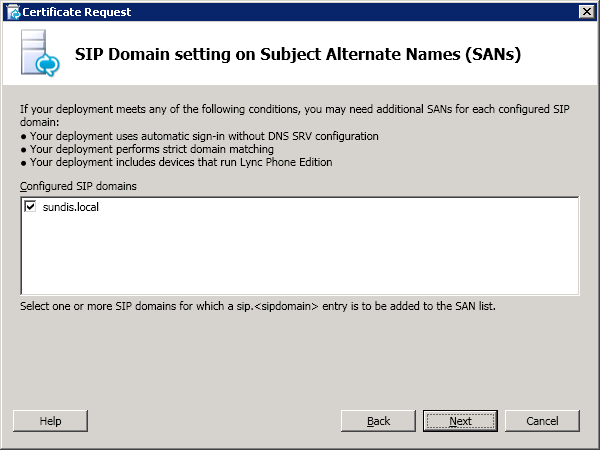 We will not add any additional SIP domains at this point, click Next to continue. 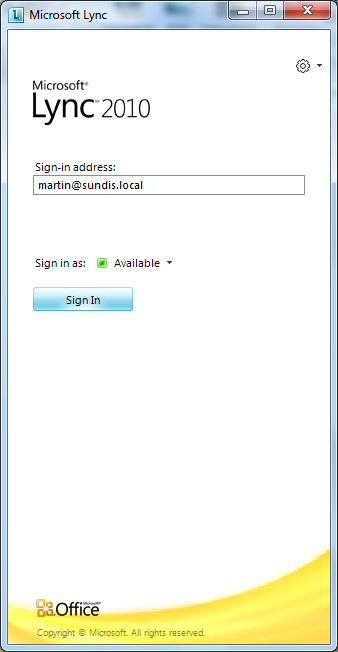 Enter a name for you default site, I will enter Sundis, then click Next to continue. Enter your City, State and country and click Next to continue. 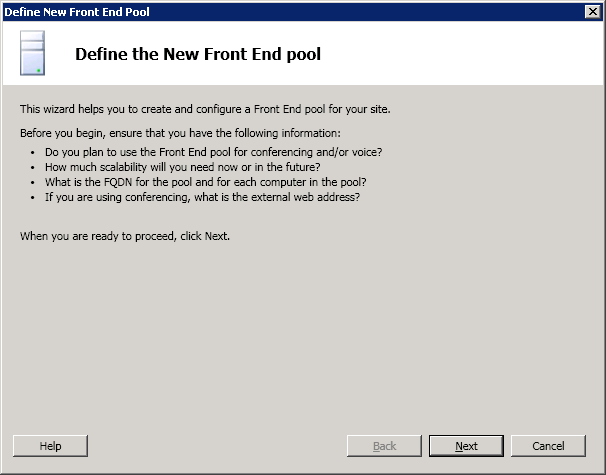 We want to continue to configure a front end pool so click Finish. When the New Front End Pool wizard starts click Next to continue. 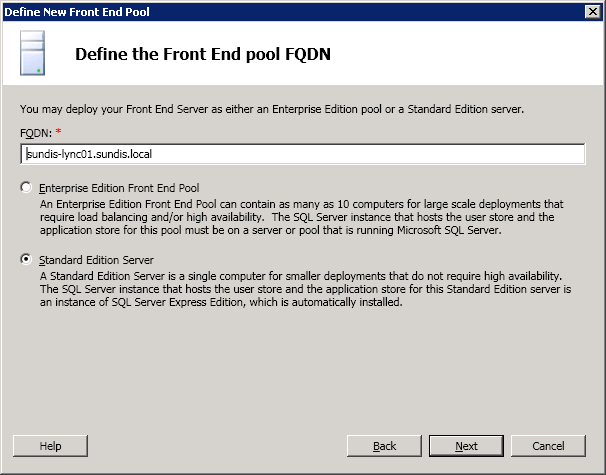 Now we must define a FQDN for our Front End Pool. 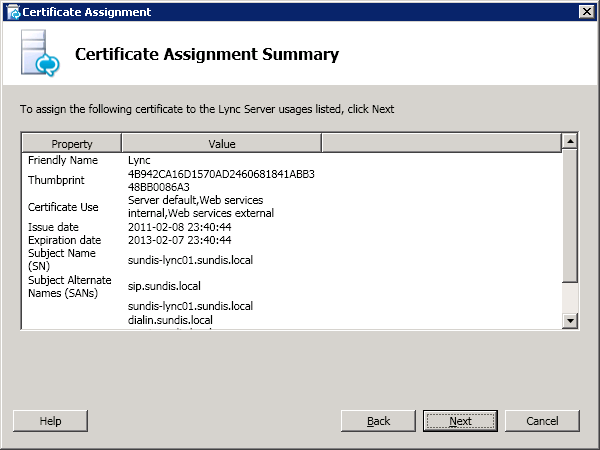 Wine this is a simple single server installation I will use the servers FQDN sundis-lync01.sundis.local. Chose Standard Edition Server and click Next to continue. Check those options and then click Next to continue. 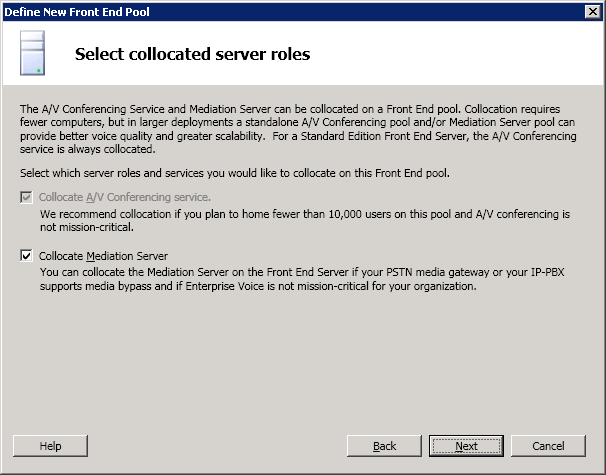 We will collocate the mediation server, check Collocate Mediation Server and then click Next. We will not enable any more components, click Next to continue. We have already installed SQL server on the Lync Server 2010 server and the wizard finds it automatically. Click on Next to continue. 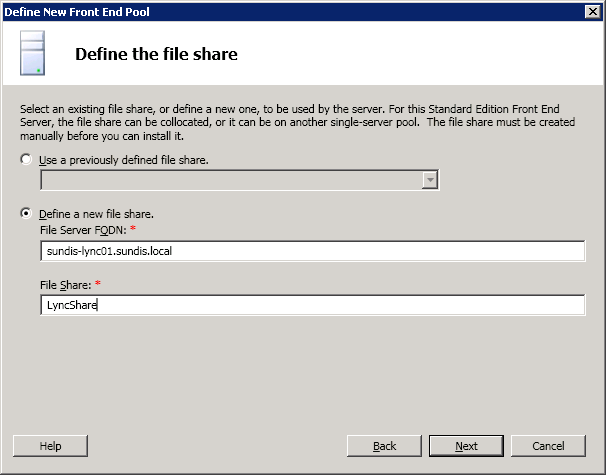 Now we will enter the share name we used when creating the file share earlier. 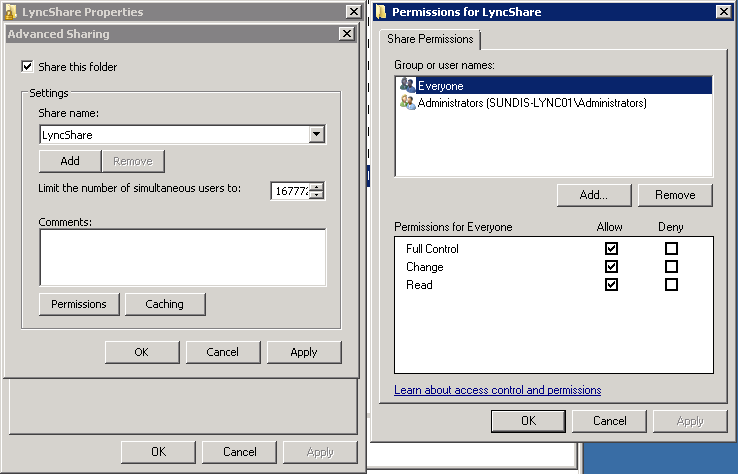 I named the share LyncShare, enter your share name and click Next to continue. 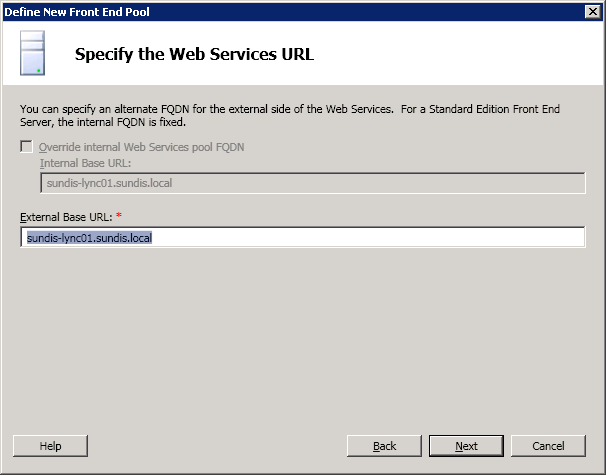 We will not enter a public FQDN at the moment and will leave it as default, click Next when finished. We will not add a gateway at this moment, click on Finish to end the wizard. 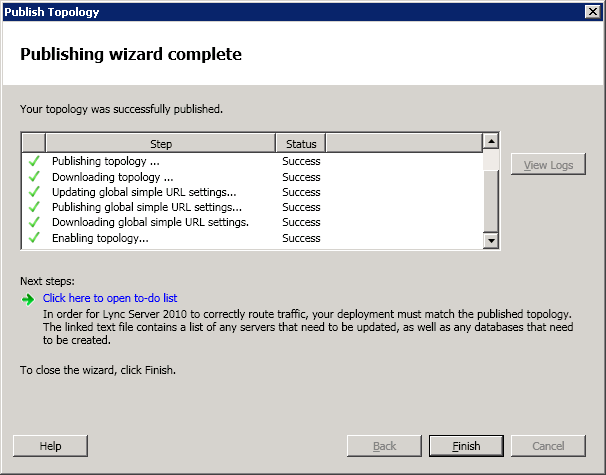 When the wizard closes you will be presented with the Topology builder, Take a moment to go through the configuration, then go back to the original screen an click on Edit Topology. 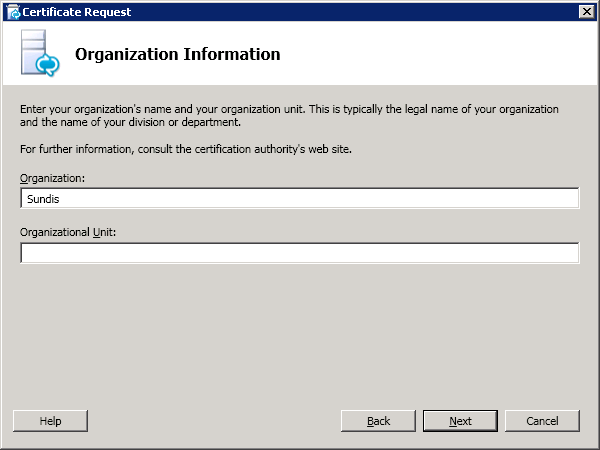 In the left pane, select Simple URLs, in the main pane, enter a URL in the field Administrative access URL. 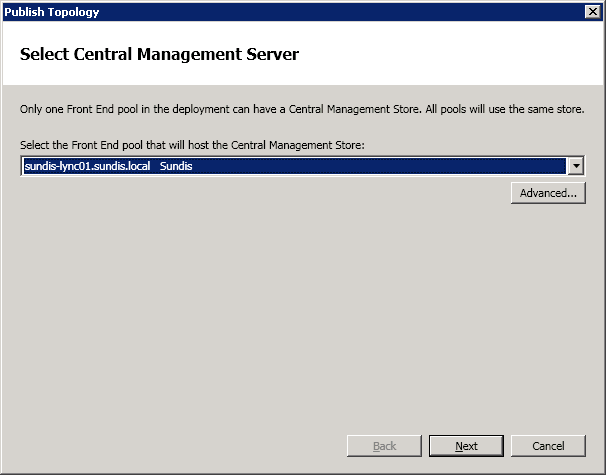 In my case this is https://admin.sundis.local, then choose the Front end server to install Central Management Server on. If all is well you should only have one choice here, click Ok when done. Now it is time to publish our topology to the management server. Back in the topology builder, click on Publish Topology in the Actions Pane. When the wizard has loaded, click on Next to start the publishing. You should only have one Central Management Server, make sure it is selected in the drop-down list and then click Next. When the wizard completes, make sure that all steps are successful an then click Finish. 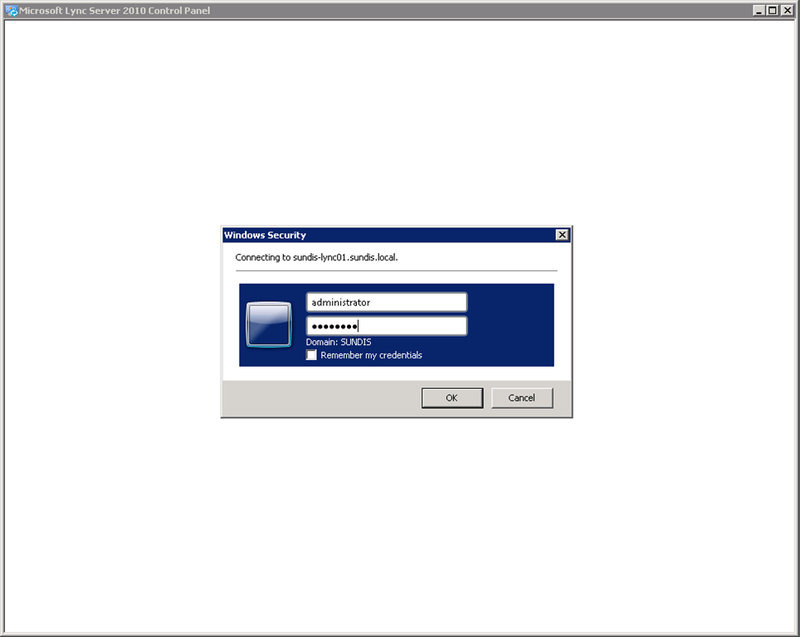 This concludes part 1 in this series on Lync Server 2010. Thanks for reading, I hope that you find it helpful!